I respect your right to the information of personal nature that is provided to me meaning name, e-mail addresses etc. I shall keep this strictly confidential and will not reuse, resell or redistribute it in any way. You shall always have the option to “unsubscribe” . When you visit a website, basic technical information e.g. Browser, referral data, platform type etc along with visitors’s activity are traceable but your personally identifiable data shall not be disclosed to anybody. Similarly the information about readership and site usage that I may collect through cookies is not tied to individual identities. I, Tejas Patel in the future, may contain links to other sites on the Web which are not under my control and I’m not responsible for the privacy practices or content of them. 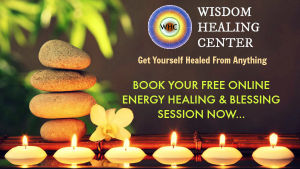 Founder of Wisdom Quotes & Wisdom Healing Center. I am Practicing Healer, Life Counselor, Meditation Trainer, Mind Control Expert, Psychotherapist & Inspirational Blogger. Since past 6 years, with the God's Grace, inspired million souls from all around the globe. TejasPatel.me attach copyright to all illustrations, poster creations & quotes on this website. All Rights Reserved.